These miniature kits come with easy-to-follow picture instructions and non-toxic white glue. They are made from real Douglas fir, hemlock, and cedar. 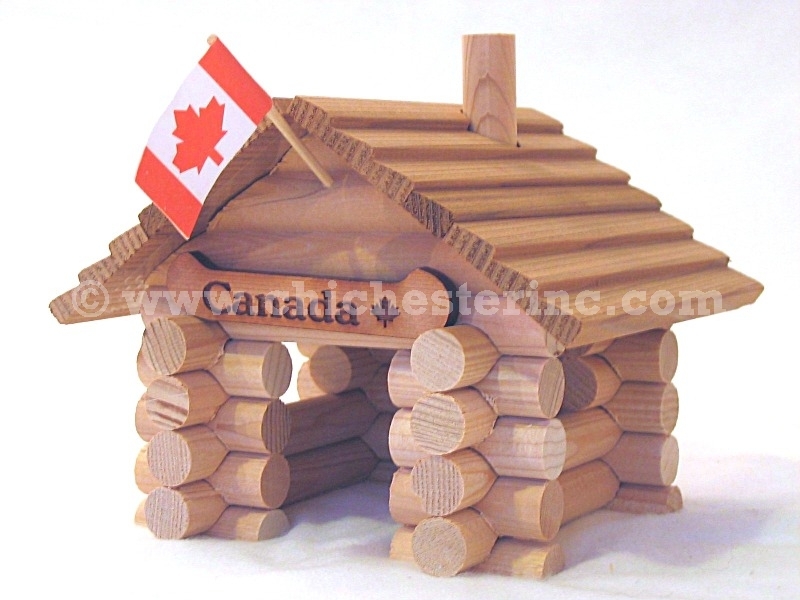 The assembled log cabin kits are shown with Canadian flags and brandings. The kits we usually have in stock have U.S. flags and brandings. We do not have extra Canadian flags. These log cabin kits are 5" by 5" by 4" (12.5 cm x 12.5 cm x 10 cm). They come with a Canadian flag and branding. Each has a stove and chimney that fits through a hole in the roof. The Jail measures 5" by 5" by 4" (12.5 cm x 12.5 cm x 10 cm) and comes with a U.S. flag and branding. 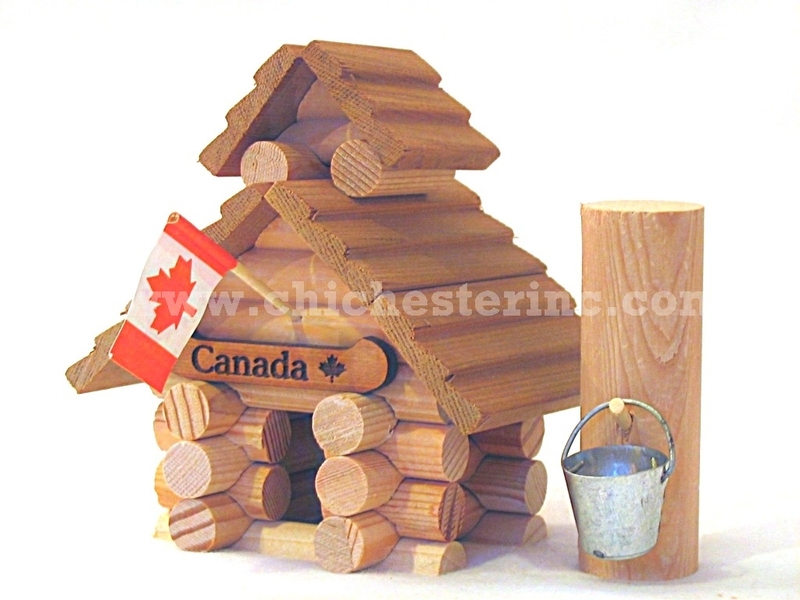 The Sugar Shack measures 3" by 4" by 5" (7.5 cm x 10 cm x 12.5 cm) and comes with a U.S. flag and branding. Please note: the sugar shack/cabin may not look as pictured at right. 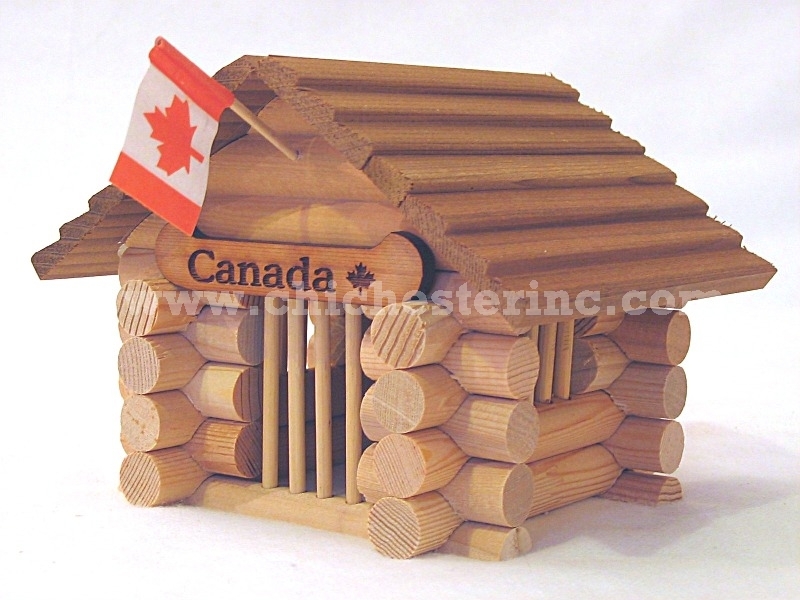 The cabin may look like the Canadian log cabin as shown above (order code: R-553-01CDN). The stand with the pail is as pictured at right.